Since opening All-Five a family business, located on Northern Illinois, our company has quickly expanded. Since our opening, our fleet and manpower has nearly doubled in size and is growing fast thanks to our commitment to your needs and satisfaction. Our jobs range from commercial, industrial, residential, and government projects. 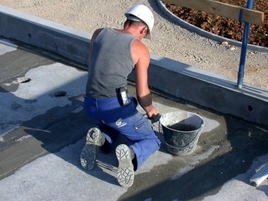 All-Five Concrete Cutting has done various major jobs and hundreds of smaller jobs. They include Target stores, Sam's Clubs, Walmarts, USA Fitness Centers, and multiple schools in and around Chicago and Milwaukee.